In just over 100 years Hextable has grown from a small hamlet to a semi-rural village of some 4,400 people. 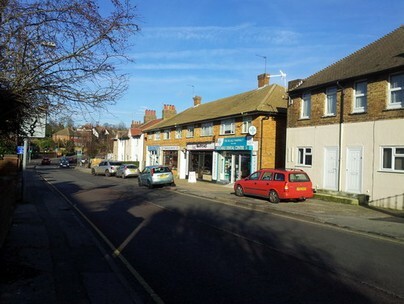 It is situated in north west Kent between the towns of Dartford and Swanley. 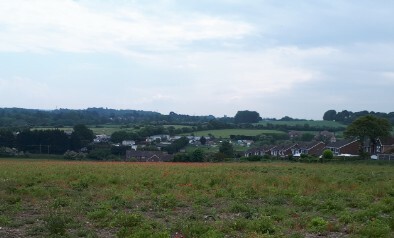 The village is surrounded by green belt land - much of it used by nurseries, garden centres and small farms. Despite being only 16 miles from central London and within the M25, Hextable still retains much of its rural character having its own post office, chemist, grocery stores and bakery. The centre of the village is marked by a tree lined green which is now lit up with Christmas Lights every December. A founder member of the Temperance Movement once lived in Hextable and to this day, historic covenants still mean the village has no public houses! 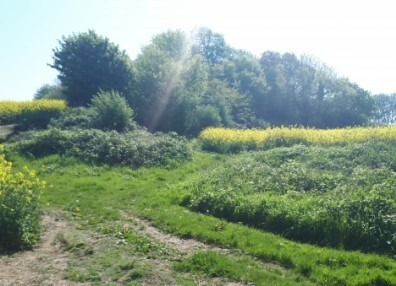 HEXTABLE VILLAGE COPSE from footpath beside the Park. 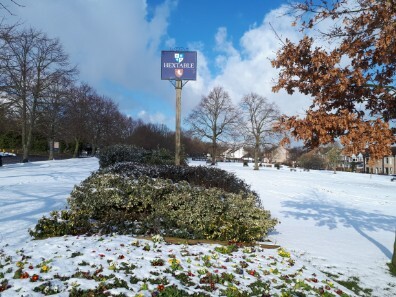 HEXTABLE VILLAGE GREEN IN WINTER. Not often covered in snow in most years. This is an afternoon in February. A very busy place during most of the day, the properties have retained their character over many years. 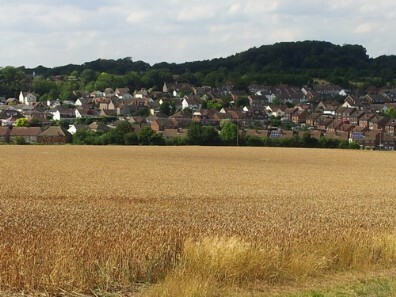 Offering a panoramic view of the village, with three football pitches. 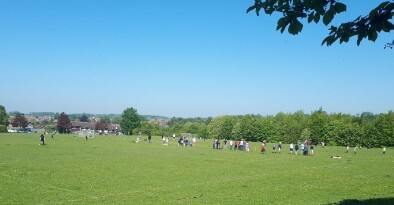 During the week it is frequented by dog walkers and young children, and at weekends by local youth football teams. 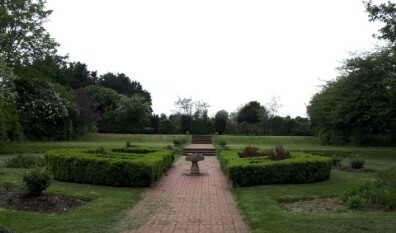 HEXTABLE GARDENS is both a formal and informal park. The latter has a small pond and numerous birdboxes attracting much wildlife. At one end allotments have now been created for rent by local residents. Located just inside the gate of the Gardens is the Hextable Heritage Centre run by the Parish Council and 'The Gallery' now used by Hextable Pre.School during term time. Close by is a small area where visitors can enjoy the Exercise Apparatus installed there. The local Air Cadets have a building in the Gardens and they meet on Tuesdays and Thursdays at 19:00. Finally there is the former Scout Headquarters which has become the Village Hall still used by scouts but now a multi-purpose building available for hire by clubs and individuals. The village had a Secondary School which became 'Oasis Academy' in September 2013 but sadly due to a fall in student numbers has now closed. In September 2007, Hextable Infants and Hextable Junior schools were amalgamated to form Hextable Primary School. The Infants classrooms and hall are located at the top of St David's Road with the Junior classrooms and hall at the top of Rowhill Road. The combined School is maintaining and improving on the standards set in the past. It is now being enlarged to cater for additional students each year for 7 years with new classrooms and facilities with a drop off and collect car park opposite the Upper School. OFSTED graded the school good in all areas in its report following the inspection in December 2013. Pupils in their final year doing well in the 11 plus exams may go on to the Dartford (state funded) grammar schools or choose other local schools providing them with an excellent education. Finally there is Furness School re-named Broomhill Bank North school from 1 September 2015 which caters for young people with behavioural difficulties. There are three established in the village: Hextable Methodist Church which has both a Boys and a Girls Brigade with a membership of around 70 young people in each. Then in the centre of the village is St Peter's Anglican Church which is both evangelical and charismatic in character. Its congregation of about 250 of all age groups draws on people from within and outside the village. A large two storey annexe has been built onto the front and will provide additional facilities for the church and community. The third one is the Bethel Centre for some time not in use but now active again with a small congregation.